Description: Salvation Wellness is a business categorized under oncology massage therapy, which is part of the larger category offices of health practitioners nec. Salvation Wellness is located at the address 521 Jersey Ave in Jersey City, New Jersey 07302. 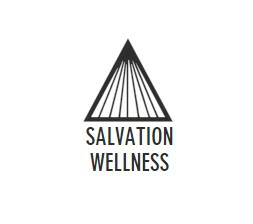 The Salvation Wellness is Salvation Wellness who can be contacted at (551)689-0763.
Review: Salvation Wellness offers a custom tailored, hands-on approach to every service offered. Find relief with a therapeutic massage using handmade organic products, Zen into a guided or sound healing meditation, detoxify in the infrared sauna, or restore your body in a highly therapeutic semi-private movement class. Location & access map for "Salvation Wellness"